I’ve heard a lot about Apple and Rain by Sarah Crossan. Well, no – that’s not strictly true. I’ve seen school librarians go ‘oh, yes, THAT book’ and get slightly misty-eyed. I’ve heard a fellow author say it’s the best book she’s read this past year and that it broke her heart. I’ve seen the book cover pop up time and again, on recommended reads, shortlists and so on. And speaking of the book cover, I’ve only just realised it’s designed by Yasmeen Ismail, who wrote and illustrated the wonderful I’M A GIRL that I reviewed recently! So – to the story. Apple is thirteen, living with her Nana since the age of two when her mother left on Christmas Eve and didn’t come back. She’s not dead, they know – she’s living in America, trying to make it as an actress. Apple doesn’t really know why she left, and all she’s dreamed of is her mother coming back. Apple’s dad has a new wife and a new baby on the way, and he isn’t very interested in Apple. And Nana is all right, but at thirteen Apple is starting to notice just how strict Nana can be about things and how she doesn’t actually listen properly. The only two people who seem to want to know what Apple really thinks and feels are a new English teacher and the home-schooled boy next door. Unsurprisingly, she doesn’t particularly want to share her innermost thoughts with either of them. And then, out of the blue, Apple’s mother returns. Swishing around, talking of wanting to make amends, and asking Apple to come and live with her. She encourgaes Apple to bunk off school, takes her shopping for makeup and lets her drink alcohol. Apple feels that at last she is being treated as a young adult rather than a baby, and with barely a glance back at her devoted but restrictive Nana, she accepts the offer to move in with the mother she’s never known. It’s then that Apple realises that her mother has been keeping quite a lot of secrets from her. And the biggest is going to teach her – and everyone around her – a lot about love and fear and loss and redemption. And seeing through the masks that people wear to the truth that lies underneath. I read this book in one sitting, and at first something puzzled me. 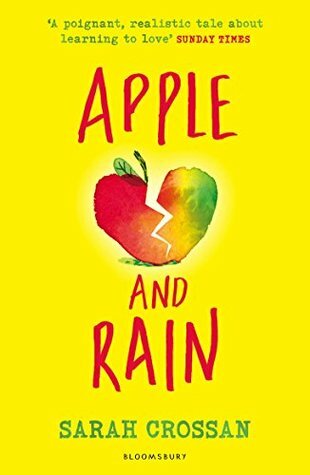 I had assumed that Apple and Rain was a YA book – but the protagonist is 13, and usually that dictates that the book be targeted to the 8-12 age range (since kids almost invariably ‘read up’, age-wise). Yet the book is very substantial – over 300 pages – and sometimes the ‘voice’ feels older. 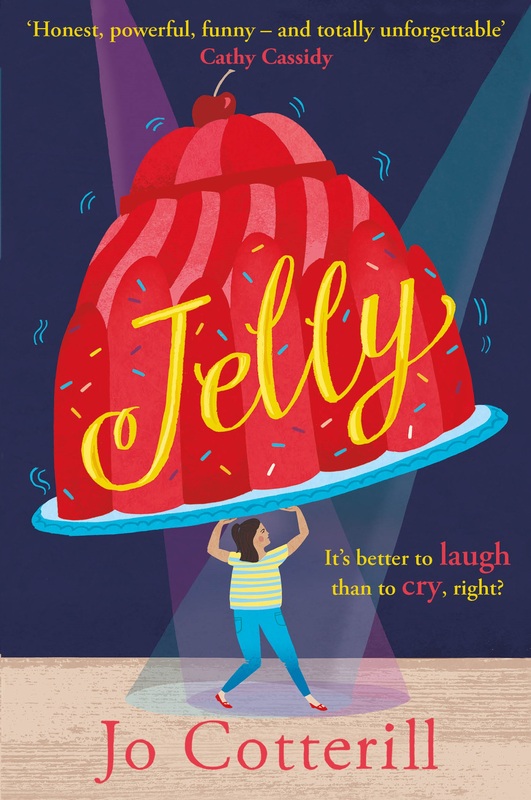 It’s a book that’s difficult to categorise, but I’d say it is suitable for any child over the age of nine who is just moving into that emotional area of change from child to young adult. Apple has to face up to a lot of things, including the true meaning of responsibility. And holding the threads of the story together is the idea of poetry and the way it can ‘tell the truth’ when the truth is hidden in plain sight. A poem about picking blackberries isn’t really about blackberries – and a mother who has returned may not be what she seems. I loved the poetry aspect, particularly the section on Jabberwocky, which was one of the warmest, most uplifting scenes in the book. A few things frustrated me: I’d have liked to see more made of Apple’s relationship with Christmas time and whether that changed through the book. I’d also like to have seen a little more of her father, who seemed a hopeless sort of person who meant well but was fairly clueless. I adored the finely drawn characterisation of Nana though, whose quiet support of Apple begins to shine through when crisis hits. There is a slight romance which I felt the book didn’t need – and in fact, it felt almost too mature for Apple’s first forays into this area. Whereas the difficulties Apple experiences with her ex-best-friend Pilar felt painfully realistic and oh-so-familiar. Apple and Rain, by Sarah Crossan, is published by Bloomsbury and out now. Her newest book, One, is already making waves in the children’s book arena.